KLE Society has issued a press note stating that fake news is being spread in the digital media regarding the KLE Society organizing “A. 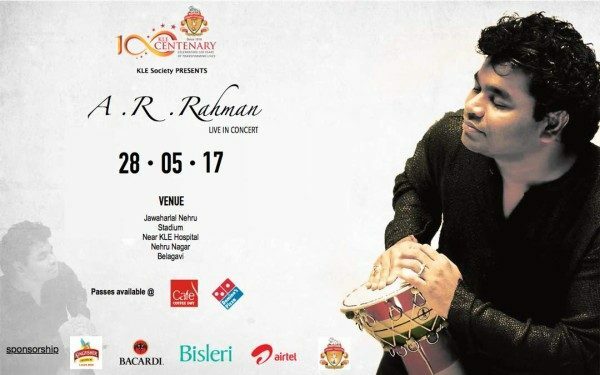 R. Rahman-Live in Concert” on May 28. KLE society clarified that the news is untrue and an attempt to malign the reputation of the KLE Society. A complaint in this regard has been lodged with the Police Commissioner, Belagavi City and the matter is being investigated. KLE Society would like to inform the general public that this news is false and request them not to trust any individuals who might make a representation in the said context for sponsorship or other motives.